I recently posted a tip for easier peeling of hard boiled eggs that I personally found useful. It makes the shells softer and the peeling of the hard-boiled egg much easier. I was pleasantly surprised to come across a vintage Gallaher cigarette tip card that was promoting the same handy idea that I posted. 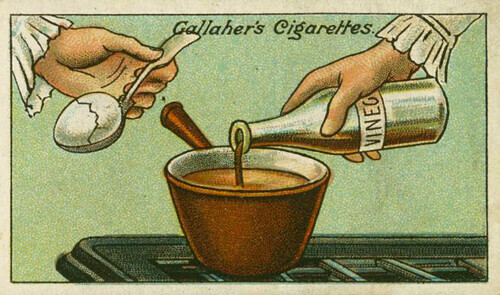 Gallaher brand cigarettes included a type of trading card which included tips which even today seem timeless. We love eating hard boiled eggs and struggle at times with peeling them. I set out to experiment on a way to make the eggs peel easier. 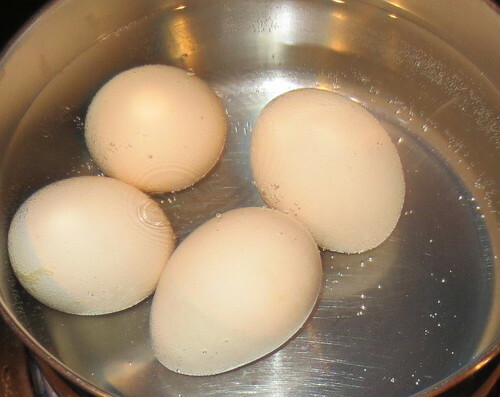 I am happy to share this handy and simple method to help make your hard boiled eggs peel easier. I have been using this method for several weeks now and excited to report that it really does work. Your eggs will peel easier and the shells will be softer after boiling. Here are the simple steps to follow for fast and easy egg peeling. 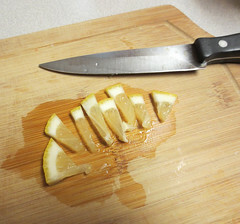 Save those pieces of citrus peelings to make a homemade citrus vinegar cleaning spray. Save the peelings from oranges, grapefruits and lemons. 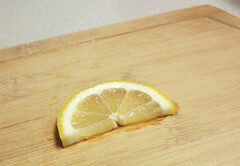 Here is a leftover piece of lemon slice I had from a water glass. Cut it into small pieces as shown to put into a bottle sprayer. 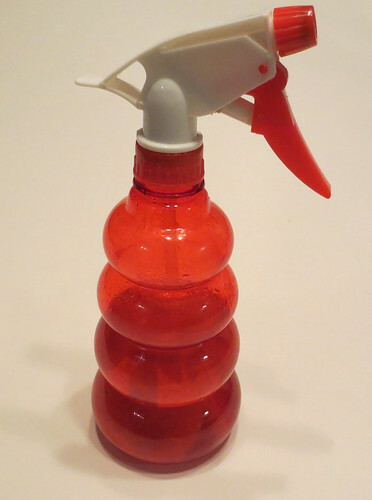 Add vinegar to the sprayer and use the homemade citrus spray for cleaning countertops, sinks, and your bathroom. After a month or so, the peelings do begin to break down. I use a strainer to remove any decomposed pieces as needed. Add more vinegar and peelings to keep your homemade citrus cleaner filled. You can use the old pieces as a scrub too for your sink before throwing them out. Conclusion: The citrus vinegar solution makes a useful homemade cleaning solution that leaves your kitchen and bath looking and smelling wonderful. I recently bought a used leather chair. It needed cleaned where there were a few stains on the leather. Nothing serious, just a few marks and a spill I needed to clean off the leather. 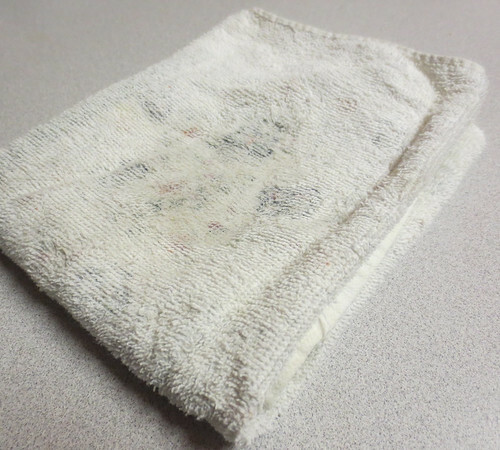 But I didn’t have any leather cleaner in my cleaning supplies so I set out to find a homemade leather cleaner. As you may know, I think vinegar is an amazing fix-all product. I checked and several home remedies for leather cleaning and stain removal call for using vinegar. Was I surprised, no not at all. In fact, I figured if I didn’t find this suggestion about using vinegar to clean the leather chair, I was going to try it anyway.